In early 1967, concerned citizens Elizabeth “Bemi” DeBus and Dr. Clark Cameron were exploring the notion of eradicating world hunger by “farming” whales. To their great surprise, they discovered that whales themselves needed saving. They searched for a conservation group with whom to collaborate and found that no such group existed. The International Whaling Commission (IWC) concerned itself exclusively with whale populations that could be harvested, rather than protected. So with the help of scientists, educators, and boat owners to take people whale watching, the American Cetacean Society was launched on November 3, 1967. It was the first whale conservation group on the planet, and the first to take groups of children on whale-watching trips. ACS was instrumental in gaining the world-wide commercial moratorium on hunting whales. In 1972, we first brought the need for a moratorium to the United Nations Environmental Conference, which subsequently voted 52-0 to support the moratorium. 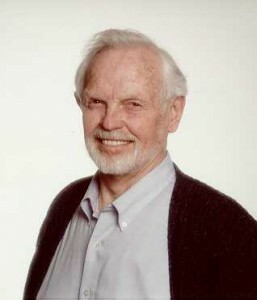 We continued advocating for the protection of whales, and in 1982 succeeded in encouraging the IWC to pass a moratorium on the commercial exploitation of whales. 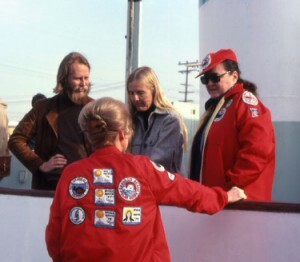 Since our 1967 founding, more than two million children and hundreds of thousands of adults have enjoyed whale-watching trips sponsored by ACS and been educated by ACS Naturalists aboard many more. The impact of these grassroots efforts can be measured by the increasing worldwide popularity of whale watching (a $1 billion/year industry that attracts nine million participants annually in 87 countries), and by the growth of the global conservation movement that ACS helped launch.